Going on vacation can be difficult for you and your family if you have to leave your dog at home. Yet, with a dog day care that you feel comfortable and confident with, you will feel much better about leaving your dog. Not all dog day cares are the same, which is why it is important to take a look at few options and make an informed decision based on which one provides everything you desire. Below are a few ways you can help yourself prepare before choosing a dog day care. Is it important that your dog have a private room with other dogs where you can bring their own bed? Or does your dog not mind staying in a kennel? Perhaps you are looking for a doggie daycare where your dog can play during the day in a cage-free environment. You may also want the option of having a dog walker take your dog for a walk during the day. These are the types of amenities you will want to look into before you decide on which dog day care to take your dog to. Another important factor when you’re making your decision is pricing. If you are looking for a secure dog day care that will ensure your dog is happy and safe, then the pricing will reflect that. Aligning the desired care for your dog with what you can afford will help you determine what you want to do. Take a look at what requirements the dog day care you are looking at has. Do they require dogs to be updated with all their vaccines? How clean are the faculties? Are there play areas for your dog? Do they test your dog’s temperament? All of these factors will help you feel more confident that your dog will be in a healthy and safe environment. Once you have found a dog day care that looks like they have everything you want, such as the type of care, feeding, amenities, facilities, etc., the next step is to visit the location. Once you make an appointment, you can speak with the staff, ask all of your questions and sure that it is a right fit for you and your dog. 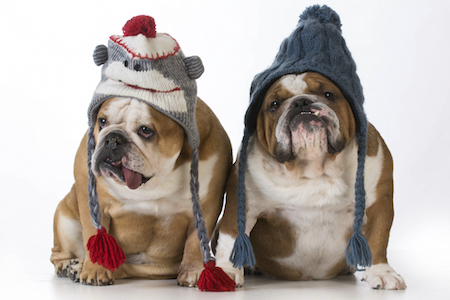 If you are planning on traveling during the holidays, dog day cares get booked pretty quickly. To ensure that your dog has a spot at the dog day care you want, booking in advance is a smart move, especially if there are certain holiday hours that you should be aware of. We hope that these tips have helped you prepare for finding a dog day care that will fit your preferences and make you and your dog feel happy and secure. As always, we would be pleased to answer any of your questions concerning dog day care.